Business, Civic, and Community Leaders contribute more than $650,000 to support affordable housing and resident services. Arlington, VA (October 18, 2017) – Yesterday, the Arlington Partnership for Affordable Housing (APAH) honored J. Ronald Terwillger, Arlington-native, multi-family real estate giant, and passionate national champion for affordable housing at its annual Celebrate Home! Benefit at the Clarendon Ballroom. 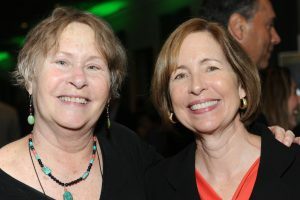 More than 300 guests generously contributed more than $650,000 to support APAH, its resident service programs and work in the community—a new record providing essential resources to support the nearly 1,600 low-income households that call an APAH apartment home. Immediately prior to the reception, Mr. Terwilliger and Tim Naughton, Chairman, CEO and President of AvalonBay Communities held a Leadership Talk discussing Terwilliger’s early life in Arlington, his real estate career, the national crisis in housing affordability and the role of leadership and philanthropy. “APAH celebrates the power of home—it’s where our values are shaped, it’s where our kids do their homework, and it’s where we build our families. We are so proud to provide homes for more than 3,000 of our Arlington neighbors. The stories of our residents are varied from veterans and others who come to us from homelessness through our partnerships with A-SPAN and Doorways, to families who escape over-crowded apartments, to others simply striving to provide their children with the best education they can to realize the American Dream of forward progress for every generation. 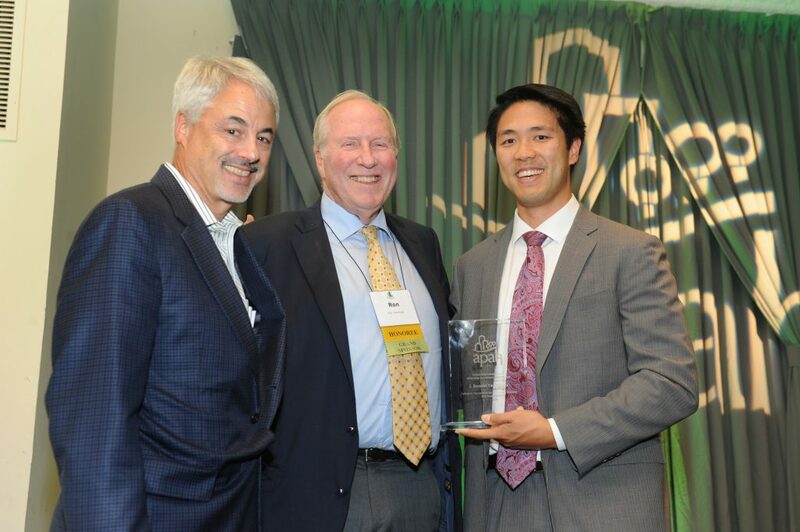 We are so proud to serve all of them” said APAH Board Chair, Kevin Yam, who served as Master of Ceremonies. The celebration included a video of Cynthia Bendt, veteran, mental health professional and APAH resident. Someone who had always had a home and always had a job, Bendt shared her journey from homelessness that occurred after she lost her job and experienced personal trauma. With the help of APAH and partner, A-SPAN, Bendt is now stable and happy in her apartment and engaged in volunteer music therapy work with other veterans at the Veteran Medical Center in Washington, DC. APAH’s mission is to develop, preserve and own quality affordable places to live; to promote stability and opportunity for our residents; and, to advocate with the people and communities we serve. More images from APAH’s 2018 Celebrate Home! benefit can be found here.